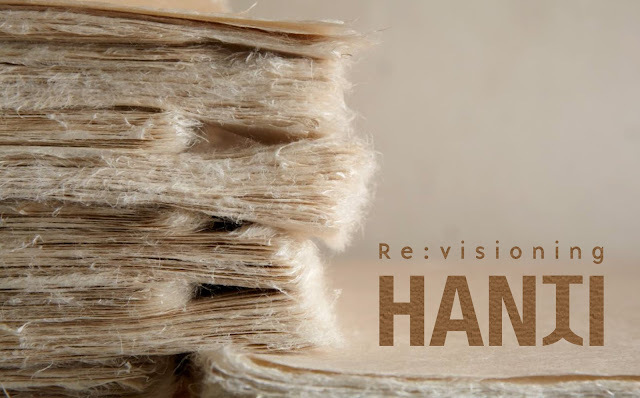 Hanji Naty (한지나티): Celebrating Korean Hanji paper in New York City with "Re:visioning Hanji"
Celebrating Korean Hanji paper in New York City with "Re:visioning Hanji"
It seems that Korean Hanji paper has been in the spotlight these last few weeks! After an interesting Festival held in Sydney, Australia, organized to celebrate and promote this amazing material, Hanji is once again the heart of a promotional event outside of Korea. Would 2016 be the Year of Hanji? I surely hope so! This time, Hanji paper is the star of a special exhibition in New York City! Hanji artworks by contemporary artists Ran Hwang and Aimee Lee will be presented in "Re:visioning HANJI", from February 24, to March 31, 2016. A special Hanji making seminar and hands-on workshop, led by Aimee Lee, is also organized on March 12 and 13 (Sat and Sun), to give visitors the occasion to experiment the paper-making process. The exhibition is held in Gallery Korea at the Korean Cultural Center NY, at 460 Park Avenue (6th Floor) in New York City, NY, USA.